Dr. DiGregorio is popularly referred to as “Dr. D”. His philosophy is to provide the best dental care in a warm, understanding environment by personally connecting with his patients. He is proud of the office’s comforting atmosphere and inviting staff members who enjoy making patients feel right “at home”. He is also committed to staying on top of the latest advances in technology, including “Same-Day” porcelain crowns, Oral Sedation, digital x-rays, soft tissue lasers and mini-implants, to name a few. His goal is to help his patients achieve and maintain beautiful, healthy smiles with the use of these cutting edge techniques, equipment and materials. Best of all, Dr. D wants to help his patients make “informed choices” about their dental care. He will spend the time to get acquainted with his patients to best understand their preferences and priorities about their dental health. He doesn’t lecture. It’s just straight talk and a commitment to treat everyone with the same concerns as he would give members of his family. Dr. D is a graduate of Georgetown University Dental School and is a member of the Academy of General Dentistry and the American Academy of Cosmetic Dentistry. He has three children and enjoys gardening, cooking, home restoration, reading and volunteer work. Tillman R. Sease, Jr, D.D.S. Dr. Tajick was born in Iran and moved to the United States in the late 1970’s. 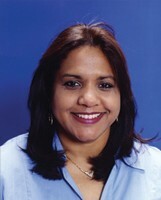 She received her B.S.in Biology at George Mason University in 1994. In 1998, she graduated with her Doctor of Dental Surgery from Howard University College of Dentistry. A year later, she joined the professional staff at The Dental Group. Committed to providing the highest level of care to her patients, Dr. Tajick keeps abreast of the latest breakthroughs in dental technology. 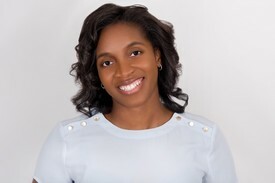 As an active member of the Riverdale Park Business Association, Dr. Tajick donates her time and energy to many charitable projects and fundraisers and participates in various health fairs throughout the Hyattsville/Riverdale Park area. In 2005, she was presented with the “Community Humanitarian” award. The entire staff of The Dental Group are proud of her passion for providing quality care and giving back to the community. Dr. Nathaniel Bullock Jr. is a native Washingtonian currently living in Prince George’s County. He is a graduate of Frostburg State University where he received his B.S. in Biology in 1984. After making the decision to follow in his father’s footsteps to become a dentist, Dr. Bullock completed his graduate program at the University of Maryland Dental School where he earned his D.D.S. in 1989. As a second generation dentist, Dr. Bullock is proud to be carrying on the legacy of his father. 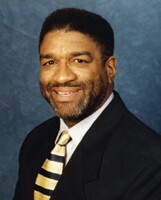 Dr. Bullock’s accomplishments include publications on the use of laser technology in dentistry, mission tours with the Catholic Medical Mission Board to the Dominican Republic, a part time clinical instructor at his Alma Mater, University of Maryland Dental School and the first African American to hold the office of Vice President of the Alumni Association. He was also a clinical instructor for the Hornbrook Group. Dr Bullock is also an active member with the National Dental Association, Robert T. Freeman Dental Association and the American Academy of Cosmetic Dentistry. In his spare time, he enjoys hiking traveling and cheering on the Burgundy and Gold Washington Redskins with his two children Monet and Dylan. Dr. Forbes earned her bachelor's degree from the University of Michigan and her dental degree from the University of Pittsburgh. She aims to offer the highest possible level of comprehensive patient care in her practice with her dedication to continuing education. She is a member of the American Dental Association, a Pre-fellow with the Academy of General Dentistry, Fellow with the International Dental Implant Association, Maryland State Dental Association, Harford-Cecil Dental Society and the National Dental Association. While her key focus is disease prevention she enjoys the surgical aspect of dentistry. 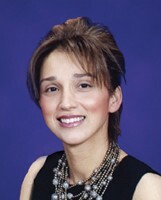 She has received advanced training in endodontics, implantology, periodontology, Invisalign® and cosmetic dentistry. Dr. Forbes loves seeing her patients smile. Nothing pleases her more than a happy patient. She likes to educate her patients and work with them to protect and perfect their smile. As a patient you will feel like an extended family member. She is committed to providing you lifelong care. Throughout her career she has been committed to giving back to those in need. Having participated in various mission trips to Honduras and Jamaica, as well as locally through Mission of Mercy, Community Day and Give Kids A Smile Day. In her spare time she is an avid traveler having been to 30 countries and counting. She enjoys spending time with friends and family, staying active by playing sports and in the kitchen experimenting with new recipes. Dr. Figueroa earned her B.S. degree from Syracuse University in 1983 and graduated from Georgetown University School of Dentistry in 1988. She has provided professional care to patients at The Dental Group for over ten years. Her clinical expertise in management and treatment of mentally and physically challenged patients makes her an integral member of the dental hygiene department. Carol Levy received her degree in Dental Hygiene from Temple University School of Dental Hygiene in 1969, her Bachelor of Science degree in Dental Hygiene Education from the University Of Maryland in 1978, her Bachelor of Arts Degree in Psychology from the University of Maryland in 1982. Carol has worked as a dental hygienist in a hospital setting for the state of Maryland as well as private practice with 27 years of clinical experience. Carol also has an interest in integrating dental programs in hospitals, nursing homes, and assisted living communities to provide private visitation to residents for dental care and education. 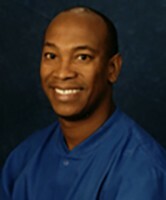 Christopher Jacob is a 1992 Dental Hygiene graduate from Howard University. Chris has worked in several areas of the Dental Field, including cosmetic, periodontal and pediatric practices. Through continuing education, he is able to educate his patients about their overall dental health. Prior to graduating from Howard University, Chris enlisted in the Us Navy where he was trained as a Dental Technician and served his country for twelve years. During his time in the Navy, he provided dental care to military personnel and their families. Upon his departure from military service, he successfully completed his B.S. in Health Care Management and graduated from South Illinois University in 1987. Chris is very interested in his patients' dental health and well being. It gives him great pleasure when his patients can leave his care with smiles on their faces.